Aaghaz-e-Dosti, a cross border Indo-Pak Friendship Initiative, is now a laureate under the category of “Special Mention” for the Public Peace Prize 2017. Public Peace Prize is an International award and regarded as the “People’s Award”. It is the public that sends in nominations and then votes to choose the laureates according to the proposed categories. In 2017, it has recognised peacemakers from Cameroon, Colombia, Ghana, India, France, Nigeria, Pakistan, USA and Yemen. The criteria for recognition was is uniqueness of project, challenges, courage, audacity and selflessness of changemakers and their efforts. In 2017, it has recognised peacemakers from Cameroon, Colombia, Ghana, India, France, Nigeria, Pakistan, USA and Yemen. Besides Aaghaz-e-Dosti, 2017 laureates include Elliot Hillary Dogbe who is an 11 year old peace activist from Ghana, Khairatul Saidu from Nigeria who is working for rights for the unjustly imprisoned, Zubair Torwali from Pakistan for his work to increase literacy in the indigeneous people of Swat Valley among several other inspiring changemakers who have been felicitated as laureates or finalists. Aaghaz-e-Dosti (“Beginning of Friendship” in Hindi and Urdu) is proud to have received such a recognition. Aaghaz-e-Dosti is proclaimed as Laureate for the 2017 Public Peace Prize in the category of Mediators for Reconciliation between Groups Divided by Conflicts. An initiative engaged with citizen diplomacy, Aaghaz-e-Dosti works by facilitating people-to-people contact, challenging mutual hatred and suspicion, creating a culture of peace and understanding among people of both countries, and highlighting the issues of victims of conflicts. It works through peace education activities in schools and colleges, advocacy on the issues of the victims of conflict by documentation and by approaching the concerned authorities on both sides. Despite being a voluntary and unfunded initiative, Aaghaz-e-Dosti has been able to be a consistent voice and platform working for Indo-Pak peace since May 2012. Aaghaz-e-Dosti was founded by Ravi Nitesh of Mission Bhartiyam in India in 2012. 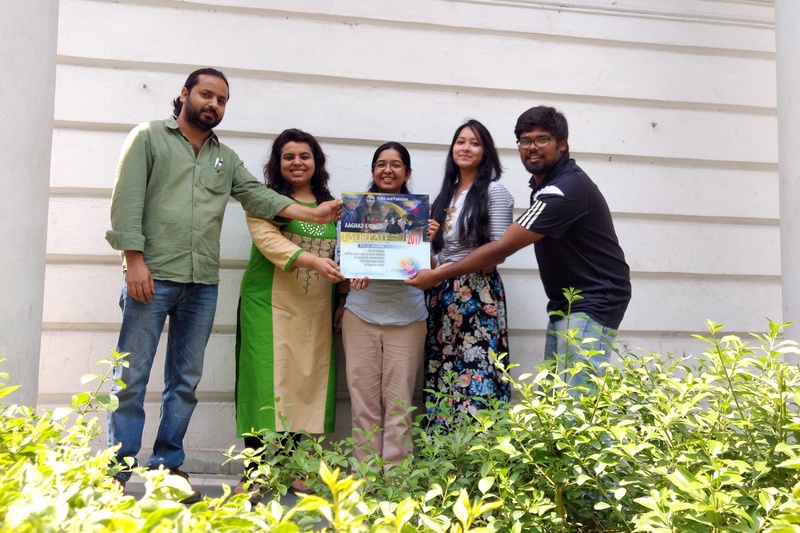 For Aaghaz-e-Dosti, Mission Bhartiyam had collaborated with several organisations of Pakistan (such as CYDA, IMOV, The Catalyst, The Catalyst for Peace) in the past and from May 2017, Aaghaz-e-Dosti became a joint initiative of Mission Bhartiyam and Pakistan-based Hum Sab Aik Hai (lit. “We are One”). Aaghaz-e-Dosti has always been run by active and committed individuals who worked voluntarily. For this reason, there have been people who also left in the spirit of keeping the initiative active. This award is dedicated to every individual who has ever contributed to Aaghaz-e-Dosti. 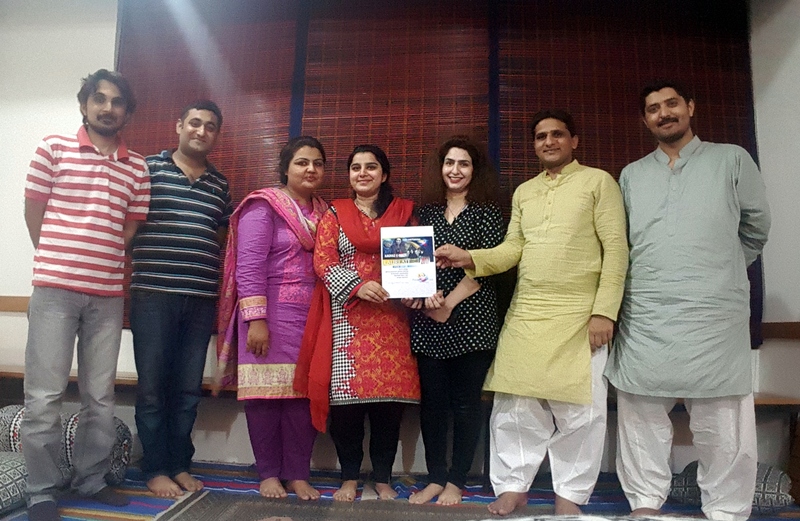 At present, Aaghaz-e-Dosti has regional chapters and or co-ordinators in Aligarh, Chandigarh, Dehradun, Delhi, Mumbai and Vadodara in India and in Lahore, Islamabad, Karachi and Toba Tek Singh in Pakistan. It also has co-ordinators in Dubai and Kyrgyz Republic. Aaghaz-e-Dosti has received several awards in the past for its peacebuilding efforts. For Aaghaz-e-Dosti, this recognition is recognising the commitment of the team of volunteers who are working for the cause and realising the hope for peace of millions of people who are affected with conflict, violence, hatred and enmity. Aaghaz-e-Dosti extends its sincere thanks to Public Peace Prize and assure that it will continue to bring to our fold, more committed and motivated young people who want to make this world a better place to live in and in making our region more peaceful and free from violence. Aaghaz-e-Dosti is committed and increasing its membership base in both countries as well as in third countries to cater IndoPak diaspora and spreading peace message across globe. It respects, appreciates and follows SDG goals of UN where Peacebuilding is seen as one of the global committment under SDG13. In coming months, Aaghaz-e-Dosti is bringing few innovative and new programs under which people will take part towards strengthening citizen diplomacy and peace education.